If you're no stranger to this blog, then you know I absolutely love Robert Dugoni's Tracy Crosswhite series. I first discovered this amazing character in book one, My Sister's Grave, when it caught my eye as a Kindle Daily Deal. Tracy is working as a homicide detective with the Seattle PD, and she has dedicated her life to tracking down killers. This first installment really gives us an in-depth look as to what put Tracy on this path, and that was the disappearance of her beloved sister Sarah twenty years ago. For those twenty years, she has questioned what happened to Sarah; and when her sister's remains are finally discovered, Tracy will stop at nothing to find out exactly what happened and who is responsible. I couldn't put this book down, and I have devoured every book that followed. Those books follow Tracy and her friends on the force as they investigate incredibly intriguing cases, as well as make me love Detective Crosswhite even more than I already did. The fourth book, The Trapped Girl, was my absolute favorite; and I can hardly wait to begin Close to Home, which releases September 5th. Mr. Dugoni is a brilliant writer, and I love when he surprises me -- and even if I manage to figure some things out, he delivers the reveal in the most superb way and blindsides me with another twist that leaves me captivated and always ready for the next book. I highly recommend this series for mystery/thriller lovers -- and even if you don't enjoy mystery/thrillers but perhaps you're a big fan of a particular Law & Order character named Olivia Benson or you can't get enough smart and courageous female protagonists, then you're definitely going to love Tracy Crosswhite. Here are links to my reviews of Her Final Breath, In the Clearing, and The Trapped Girl. 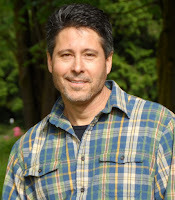 Robert Dugoni is the #1 Kindle bestselling and #1 Wall Street Journal bestselling author of The Tracy Crosswhite Series, including My Sister’s Grave, Her Final Breath, In the Clearing, and The Trapped Girl. His books have twice been nominated for the International Thriller Award. He is also the author of the Edgar Award–nominated The 7th Canon; the New York Times bestselling David Sloane Series, which includes The Jury Master, Wrongful Death, Bodily Harm, Murder One, and The Conviction; the stand-alone novel Damage Control; and the nonfiction exposé The Cyanide Canary, a Washington Post Best Book of the Year selection. Dugoni is a two-time nominee for the Harper Lee Award for Legal Fiction and the recipient of the Nancy Pearl Award for fiction. 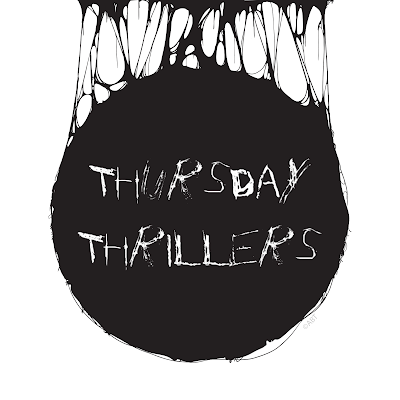 I have never gotten hooked on a thriller series. Perhaps I need to try this especially since it is set in Seattle, which is close to me. However, I am in a bit of a thriller burn out as I have read a bunch lately. Putting this on my list for fall. It sounds wonderful. I really need to try this series. So many elements I love in a thriller. I like the covers and this seems a good series. I know if I start, I would get hooked in this story so adding to my list now.